Description: "Beachfront Prevelly" has light and bright seaside ambience as it`s located directly opposite gorgeous Prevelly Beach. Beach lovers can forget about driving to the water`s edge - it`s merely an easy walk over the road to your favourite spot. 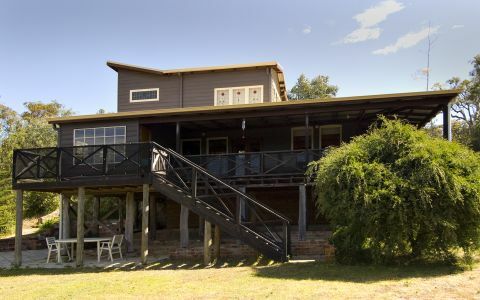 A fantastic location to stay while you tour the regions internationally renowned vineyards, surfing spots, visit one of many caves, taste the local gourmet produce or walk in the scenic Cape to Cape, stunning forests and national parks. Spacious and modern open plan living area / meals / kitchen, three bedrooms, two bathrooms can be enjoyed by one or two families. There is even a separate TV room for watching videos or keeping up with your favourite programs, this room also has a very comfortable sofabed which is ideal if there are 3 x couples. Pavilion style outdoor area with outdoor setting and barbeque for casual alfresco entertaining as you watch the setting sun over the opposite sand hills. Superbly located so that you can go to the beach, snorkel, windsurf or visit the local cafes, nearby golf course and many other attractions. Cot and highchair provided. Amenities: Bath Tub, Bathroom, Beachfront, Bedrooms, Boat Parking, CD Player, Combustion Fire, Cot & Highchair, Dishwasher, Dining Room, DVD Player, Enclosed Yard, Garden Area, Gas BBQ, Iron & Board, Kitchen, Laundry, Lounge, Microwave Oven, Multiple TVS (2), Parking, Porch, 2 x Showers, Sound System, Television, Clothes Washer & Dryer, Wheelchair Access. Activities There is so much to do in this region!! Margaret River chocolate factory, internationally renowned vineyards, and breweries so close to the coast, beaches, surfing, fine dining and fresh produce side by side, Karri forest and many beautiful caves, walking and cycle paths, cheese factories, hiking, 4WDriving, kayaking, art galleries. 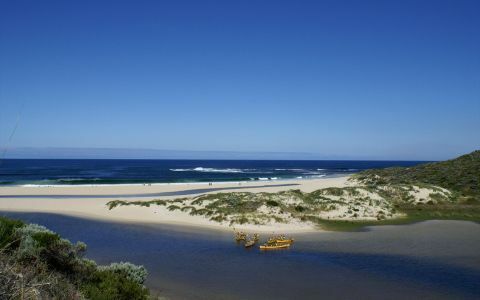 Visit a beautiful beach for a morning swim, winery for lunch and a sneaky drink and watch the kangaroos grazing in the fields as the sun sets. You can also rock-climb, abseil, mountain bike, canoe and whale watch with one of the many well regarded tourist companies. 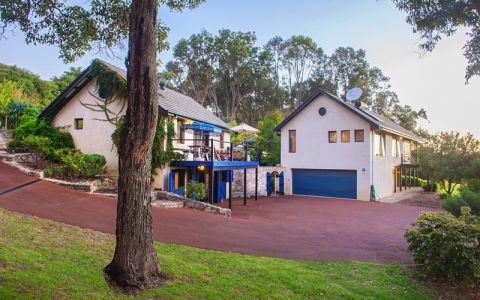 Note: This house is for family holidays only (as are all of our holiday homes), and is not a venue for functions, party house or to be used for social gatherings. 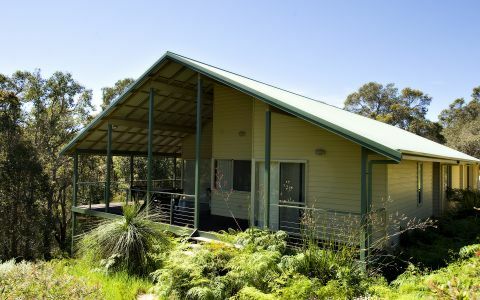 3hrs south of Perth, 5 minutes drive to Margaret River. There is so much to do in this region!! Margaret River chocolate factory, internationally renowned vineyards, and breweries so close to the coast, beaches, surfing, fine dining and fresh produce side by side, Karri forest and many beautiful caves, walking and cycle paths, cheese factories, hiking, 4WDriving, kayaking, art galleries. 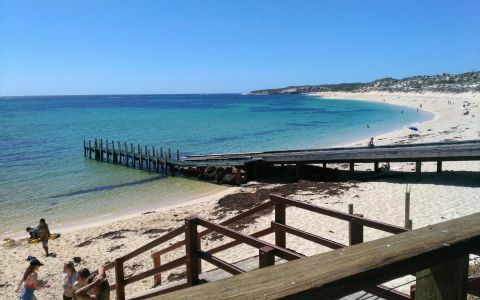 Visit a beautiful beach for a morning swim, winery for lunch and a sneaky drink and watch the kangaroos grazing in the fields as the sun sets. You can also rock-climb, abseil, mountain bike, canoe and whale watch with one of the many well regarded tourist companies. We had a great time at Denise's well-equipped house! Located across the road from the beach it is the perfect location for a casual beach getaway with plenty of space, a good kitchen and outdoor BBQ. Only 5 minutes by car to the river mouth and 5 minutes walk to Cafes up the road. Super easy check in/ check out system. Totally hassle free and perfect for a relaxing getaway or surf trip. Great place, as it looks in the photos. Right across from the beach. Less than 1km to both cafes. We loved Prevelly.